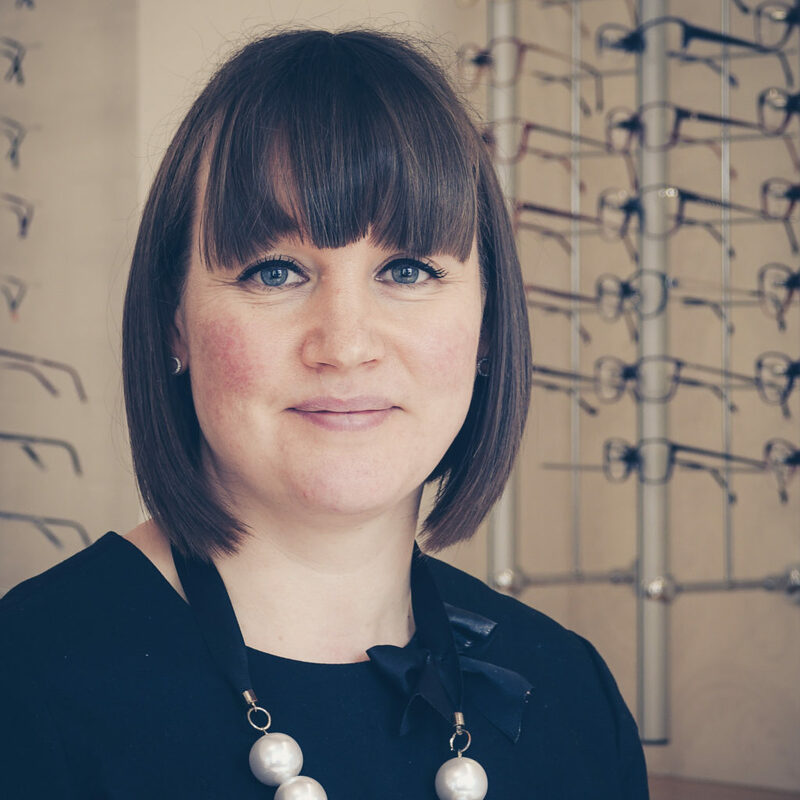 Naomi joined the Practice as an Optical Assistant in 2012 from a background in finance. She fell in love with the job and within 2 years she started a 3-year day release course at Bradford College to study Dispensing Optics. She passed her College exams and professional ABDO exams with flying colours in 2017 to become a fully qualified Dispensing Optician. Naomi’s skill is invaluable in ensuring that the set of numbers which make up a prescription are turned into glasses which fit perfectly, look amazing and give the best vision possible. Naomi hand-picks all the frames we stock, visiting trade shows several times a year to meet designers and manufacturers to keep up with all the latest trends and developments in frame and lens design, materials, construction and styling. In 2017 she volunteered at the Special Olympics, advising on the Dispensing Team, ordering and fitting glasses to the athletes. Naomi’s experience, knowledge and professionalism make her the ideal person to help the many learning disabled patients that we see. In her spare-time Naomi enjoys running and is an amazing cook. She lives locally with her husband and two children.